Penny Marshall is a Harvard Law School alumnus, who began the practice of the law at the Washington DC Public Defender Service, where she served as Deputy Trial Chief. She then moved to the federal level as an assistant federal defender in the District of Columbia. 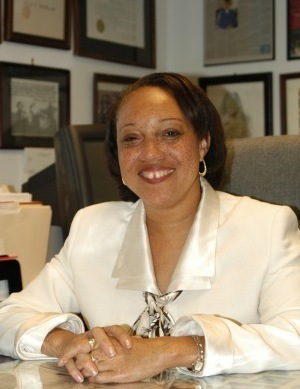 Upon relocating to the Delaware Federal Defender office, she became the Chief Federal Defender for that office until 2005. Following her tenure at that office, she served as co-counsel and a technical advisor in State of Georgia v. Brian Nichols, a capital prosecution where her client’s life was spared. Marshall is a veteran instructor at the Officer of the Federal Defender Training Branch Technology workshops. She has an extensive history of teaching advance trial skills and the use of technology. She has taught or presented at numerous federal and state seminars, the National Defense College, Benjamin Cardozo School of Law, Widener School of Law, her alma mater and several other venues. Marshall is a former president of the National Association of Federal Defenders. Penny has extensive experience with digital organization and presentations in the practice of law. Complex litigation and the more modest case can benefit from the use of cutting edge technology to greatly enhance but not supplant an individual lawyer. She looks forward to assisting you with utilizing technology to provide your client with the best result. David Talento has been providing IT, Management, and Trial Technology support for over 20 years. He served as Senior Computer Systems Administrator for the Pennsylvania Eastern Federal Defenders office for fifteen years and is a veteran faculty member of various national and local training programs including Law and Technology Seminars sponsored by the DC Office of Defender Services Training Branch. 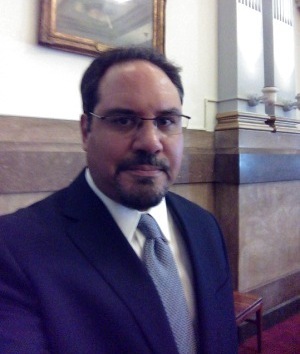 Since 2008 he has been providing Trial Technology and Litigation Strategy consulting for private firms and businesses in both criminal and civil cases in and out of the courtroom. Talento started his career working for the Urban League of Philadelphia as an Operations Manager and has extensive administrative and project management experience. He offers IT and business solutions for small companies and firms in addition to his legal work. He holds a BA in Criminology and M.S. in Public Management and Policy from Carnegie-Mellon University’s Heinz School. David values an accessible and practical approach to using technology. This emphasizes finding the right set of automation tools along with creating the best strategy to apply those tools to help you win your case. His unique combination of quantitative technical knowledge, education, teaching skills, and two decades of IT, Management, and Trial experience allow him to listen to, understand, and work with you to provide the best Trial or business solution for your needs.